Ninoska González Herrera is Agriterra’s business advisor of Bolivia and Peru! This week she explains how Agriterra can help you source agricultural products from Bolivia and Peru. “It is definitely worthwhile to take a look at Bolivia if you are interested in sourcing sustainable agricultural products. However, there are some challenges which you need to take into consideration when planning to source agricultural products from the country. Ensuring a continuous supply is sometimes not so easy because Bolivia is a landlocked nation with no direct access to the ocean, and delays during road transportation, customs and cargo consolidation are to be expected. 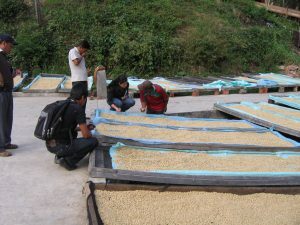 Quality control is another relevant aspect as most organizations are new to certification and international standards. Luckily our local Agriterra office can assist your company with these issues. 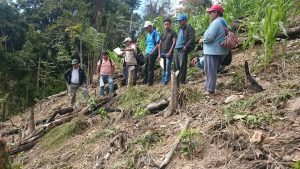 Through our scoping and assessment processes Agriterra only works with recognised, financially healthy and capable local farmer cooperatives, strengthening their governance and business skills to give them a competitive advantage. Therefore, most of our cooperatives have ample experience exporting goods, proving themselves to be reliable partners to European and American companies. Agriterra local office can also assists your company with the soft skills. Command of Spanish is a must and the cultural aspects need to be considered. Bolivians have a different time perception than Dutchs. ‘Now’ in Bolivia often means ‘in a while’ and ‘right now’ can mean ‘I don’t know exactly when’. Also, another important different is that most Bolivian business partners prefer oral over written communication over written. Don’t expect them to send long emails with detailed explanations, instead WhatsApp or quick calls are frequently used. Personal contact is also paramount. It is ten times better to have an on-site visit to the production and processing facilities than communication via email. Agriterra’s local advisors can assist you with all these challenges. 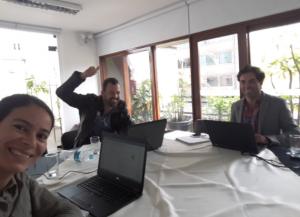 “Agriterra is expanding in Bolivia because we see a lot of potential in the agricultural sector. In the last few years we have invested heavily in (supporting) lobby work to make sure the cooperatives are properly supported by governmental regulations. Also, we continuously provide practical advice to local farmer cooperatives on major issues from increasing crop productivity to good financial management. We work with coffee, cocoa, quinoa, alpaca wool, soy and tropical fruits, just to mention a few products, with already an enthusiastic welcome by Dutch companies. Interested in sourcing primary agricultural products from farmer cooperatives with Agriterra’s help? Contact Ninoska or her colleagues at Agriterra!